Holiday preparations are getting in the way of WoW time lately. I steal quick bits here and there. I thought I’d consult my armory page and see what state my pet collection was in. Seemed like something I could do with my little bits of stolen time. Sheesh, I still needed eleven to get to 125. Ah, I see Ravasaur Hatchling is a 100% drop from a Ravasaur Matriarch’s Nest in Un’Goro Crater, perfect! I used these coordinates, 62 – 72, 62 – 65, 63 – 63, 69 – 67, 69 – 61 and there it was! I even had time left. Only ten more to go. Another pastime that can be done in short bits is finishing off old reputations. I only do the ones that I don’t consider painful. I saw that I didn’t need much to get the Keepers of Time to really, really, love me. Just have to do Old Hillsbrad and Black Morass a few times. Okay, just have to do Old Hillsbrad a few more times. Even on easy, easy, mode I found out I still hate Black Morass. I like Old Hillsbrad. Who doesn’t want to help out a young Thrall. It’s not dark and dreary, I don’t get lost and what’s even better, look who I found. It’s things like this that I love about WoW. Apparently Optimistic Benj was added in 4.3. A younger version of the rare Cranky Benj. Down on the docks you can find a young Zixil starting on his journey to Merchant Supreme. And look! For those Alliance who miss the old Southshore it’s still here, lovely as ever. Now if they’d just add a timeline with a version of pre-cata Darkshore my world would be complete. Which reminds me, next stolen bit of time I get, I’d better get over to Theramore and get some screen shots before it’s only a fond memory too. 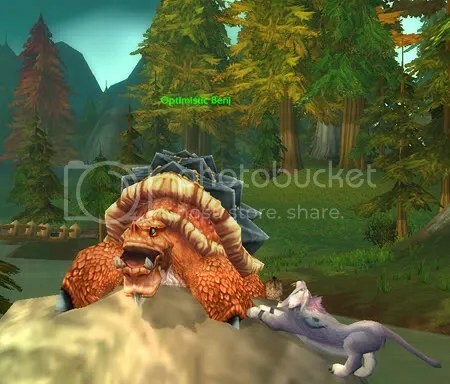 This entry was posted on December 12, 2011 at 11:22 am and is filed under WoW Pets with tags Ravasaur Hatchling, World of Warcraft, World of Warcraft Reminiscing, wow, WoW Pets. You can follow any responses to this entry through the RSS 2.0 feed. You can leave a response, or trackback from your own site. I know, it’s nice to see it as it was, even my Forsaken doesn’t like what the Forsaken have done with Southshore! Lol, I’m thinking these improvements will leave it looking like Darkshore. Got to get out my virtual camera before it’s just a smoking heap. 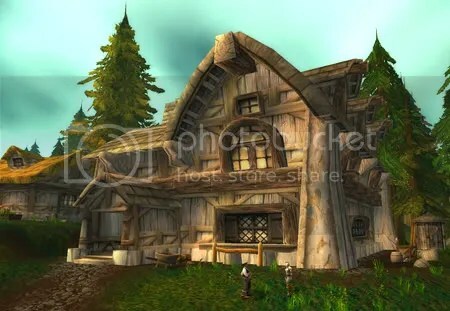 I had completely forgotten that we as the Alliance can still go and reminiscent about the good old days up in South Shore in Old Hillsbrad. Caverns of Time wins one again for the stroll down memory lane. I totally second what Jasmin said, that last picture really does make you feel the warm of nice summer day with the cool breeze blowing across the water from Menthril Habor. My wife’s character is a lot closer to getting the pet achievement then mine. Once we get the account back up, I might go farm her some cuddly friends. 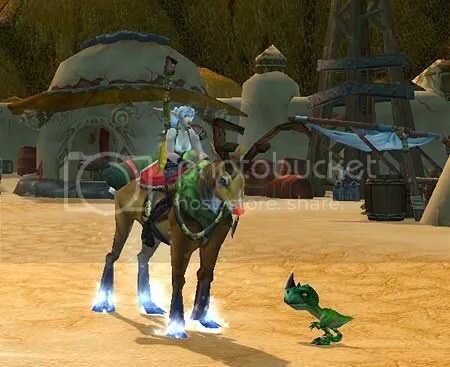 Always good to know where to get the companion pets, especially since MoP is giving us the new play style of Pet Arena. Shame again about Theramore getting sacked by the Horde come 5.0 as well. I am thinking the place will be trashed more like the Alliance base near Rachet, but on a much grander & violent scale. Darkshore was the sad result of Mr. McDeathwing doing a fly by and blasting that entire beloved zone. Great post as well. Good pet hunting. Hi Draccus, I’m trying to get as many pets as I can without buying them but I think at some point soon I may have to. Not having any luck finding that disgusting oozeling. At least we got some notice on Theramore, so I’d better get busy taking snap shots! Now they’re gonna wreck Theramore???? I got to get back to playing the game before I miss more stuff! It’s good to see, er, read you again! Yes, Theramore kind of became a favorite of mine after they revamped it and gave it its own sea monster. I’ll be sorry to see it go. Better get back there before it’s only a memory!